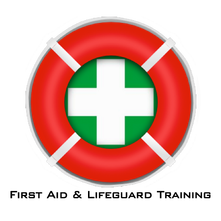 MMB First Training – Training provider for all your First Aid, Lifeguard and Fire Safety Training needs in and around Immingham, Grimsby, Cleethorpes, Hull, Louth, Lincoln and nationwide. Manual Handling Training at your place or ours for up to 12 delegates, contact us for more information or to book a session. See our “Fire & Safety” tab. CONGRATULATIONS to the General Manager of Total Fitness in Hull, Danny Phillips and 5 members of his management team who have today passed the RLSS National Pool Lifeguard Qualification (NPLQ) along with First Aid at Work, AED and Anaphylaxis with Basic Life Support qualifications. They will be working on poolside from Monday to get a taste of what their own Lifeguards do. Fire Safety Awareness, Fire Warden / Marshal courses starting January 2019 at your place of work for up to 12 delegates, contact us for more information. See ‘Fire & Safety’ tab. We are delighted to say that in the last 3 months 179 people have been introduced for the first time to ‘How to use a defibrillator’ and 16 revisited to renew their skills. This is going to be of benefit to anyone in the community who is unfortunate to have an out of hospital cardiac arrest. Statistics from the resuscitation council show that 60,000 people a year suffer an out of hospital cardiac arrest in the UK . Of this number only 28,000 had resuscitation attempted on them. If a defibrillator is used within the first 2-3 minutes the survival rate is around 70%, this figure reduces by approximately 10% per minute. Time could be short try to know where your nearest defibrillator is and learn how the basics on how to use it. MMB First Training specialise in regulated HSE Compliant First Aid At Work courses, EYFS Compliant Paediatric First Aid courses and certificated community First Aid including AED. I have been in the industry for over 30 years and 3 years ago I started my own business. MMB First Training. I am fully qualified and enhanced DBS checked. I have a 100% pass rate for both First Aid and Lifeguarding qualifications. I can charge per candidate or I come to your place if you have 8 or more candidates. All prices includes certificates and course material.